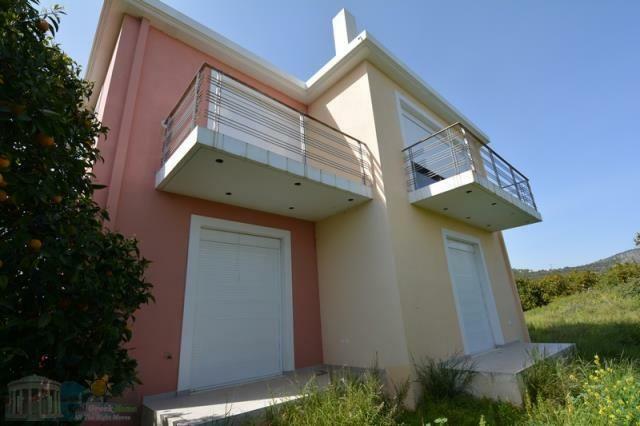 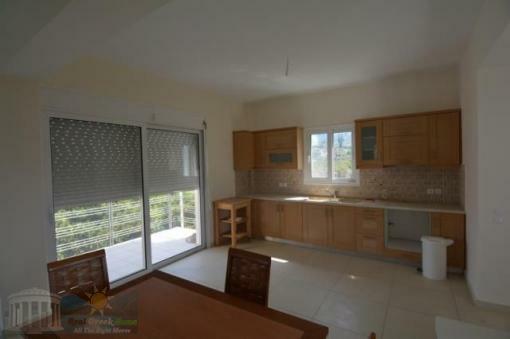 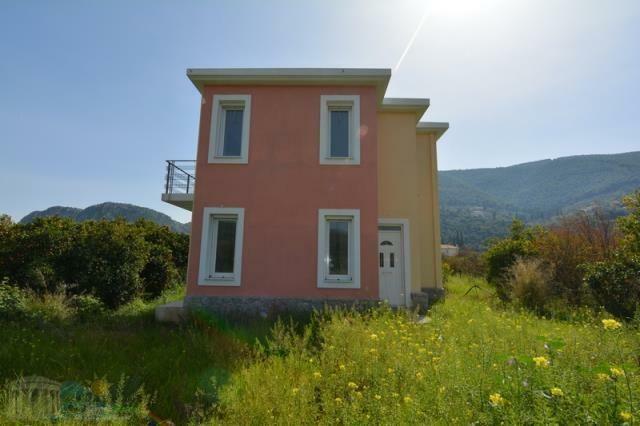 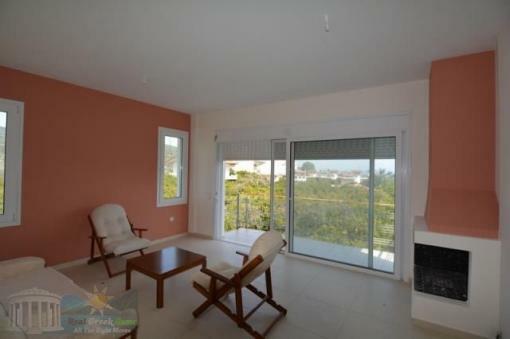 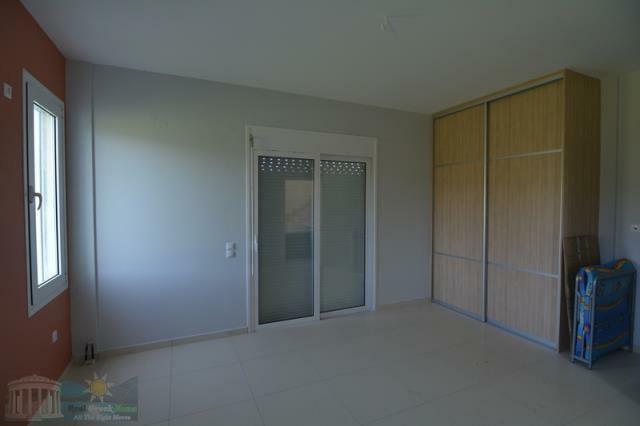 700 meters away from the sea is located a newly built independent house in two levels with a total area of ​​120 sqm on own plot of 1,200 sqm. 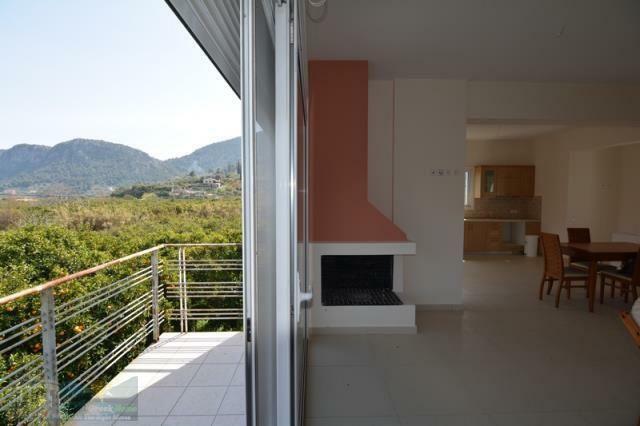 The house is situated in a quiet area with easy access, east offering nice views over the green valley and the pine mountains. 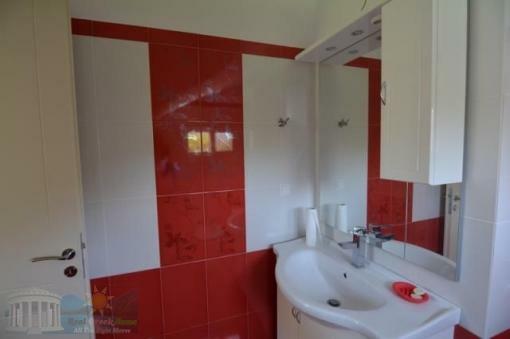 The first level has 2 bedrooms with fitted wardrobes, a bathroom, a direct access to the garden and an internal staircase to the first floor. OL second level comprises open plan living kitchen area with large windows, a wc and a comfortable terrace. 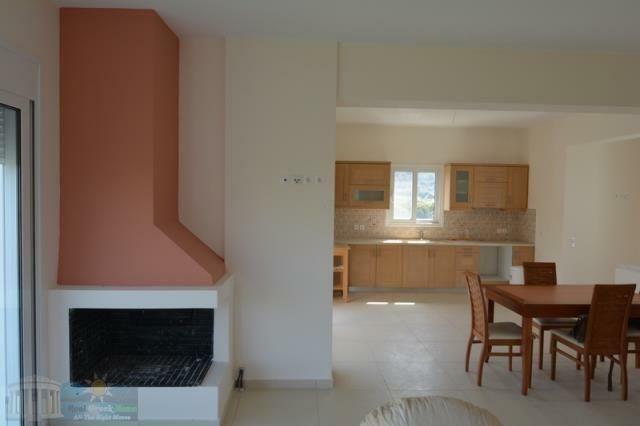 The house has aluminum windows with double glazing, fireplace in the living room. 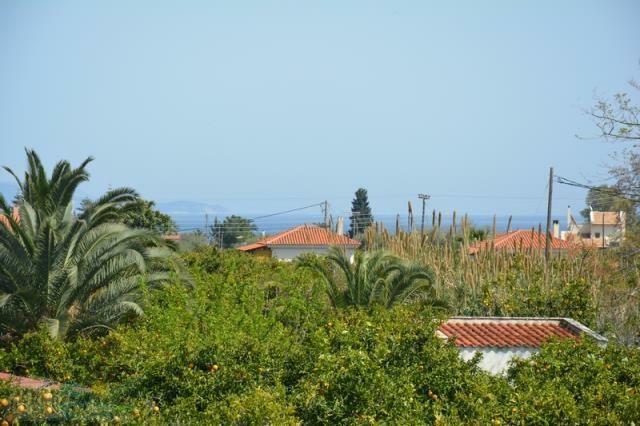 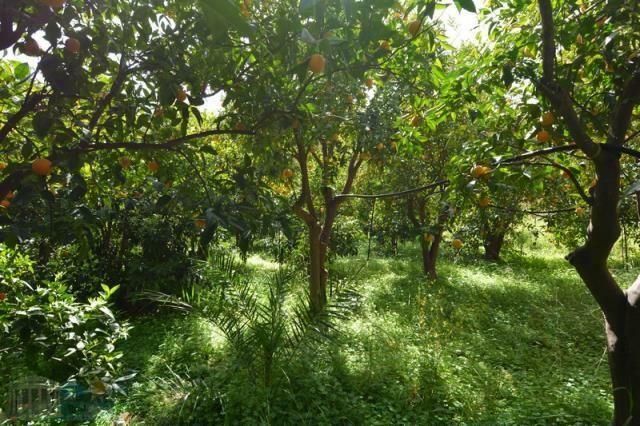 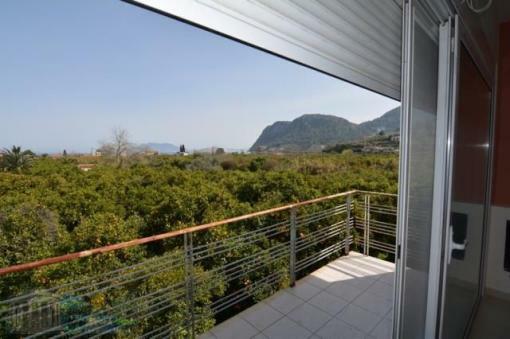 The plot of the house consists of orange trees and has remaining building 60 sqm. 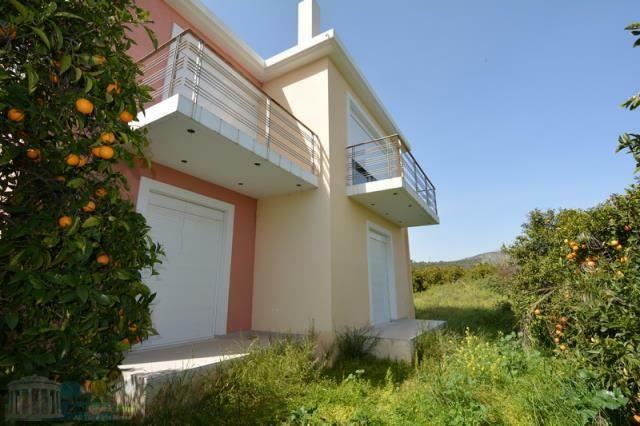 It offers easy access to the beaches and is 1 km from the village, 38 km from Nafplion and 120 miles from Athens.